Renowned for his role in the Iranian Embassy siege and the Falklands War, General Sir Michael Rose now tells the inside story of one of the toughest challenges of his career, as Commander of the UN Protection Force in Bosnia in 1994. 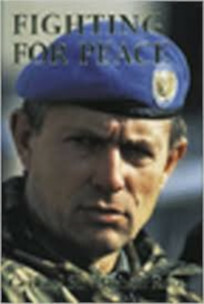 Having inherited a mission that was sliding into chaos, Rose’s brief was to sustain the people of Bosnia in the midst of a devastating three-sided war and to try to prevent the conflict escalating. Facing scenes of inhumanity not witnessed in Europe since 1945, he describes how he dealt with individuals who would stop at nothing to fulfil their personal and political agendas. When General Rose left Bosnia at the end of the year the military conflict had been stabilised, aid convoys were reaching their destinations and civilians were once again able to walk the streets. How this turnaround was achieved is the subject of this plain-speaking, controversial account of a complex and bloody war. First published by Harvill Press (Random House, UK) in 1998.